Meet Me In The Author Alley! I’ve just received an invitation to appear in the Author Alley as part of the Larchmere Festival in Shaker Heights on July 5th, 2014. Details to follow, but I’m sure I’ll be signing something, most likely books. But I’m open to suggestions. Who knows? I might even drag along a couple of pieces from the Strange & Spooky Museum for all to gawk at for no additional fee! The festival, BTW, is free. For more information on the Festival itself, click here. 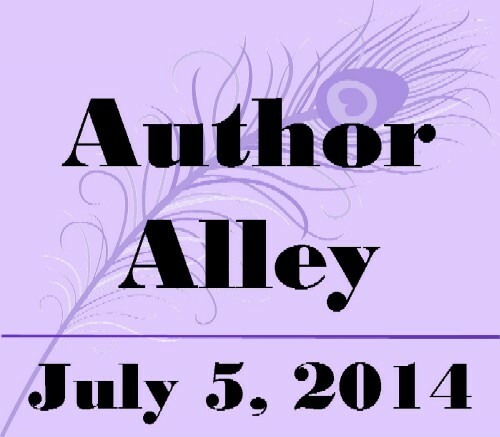 Want more info on the Author Alley? Then go here. I have officially been added to an Author Panel for the Ohioana Book Festival. It looks like it will be taking place at 12:45. No word yet on if hoagies will be made available for all to enjoy. But feel free to bring along one for me as I often get a bit peckish at these types of engagements. 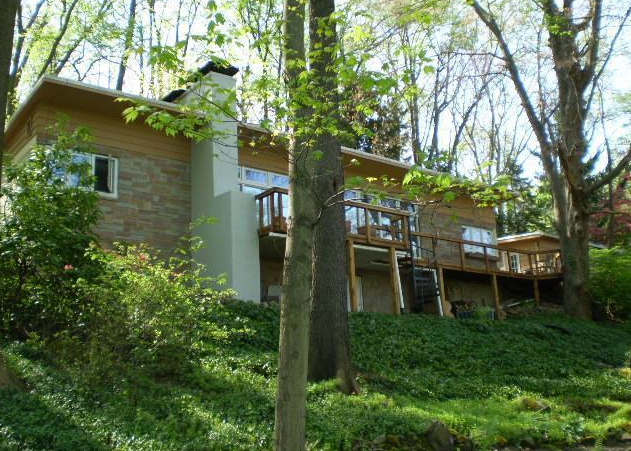 The Bath Township, Ohio home where serial killer Jeffrey Dahmer committed his very first murder is back on the market and can be yours for the low, low price of $295,000. In June of 1978, 18-year-old Dahmer picked up hitchhiker Steven Marks Hicks, also 18. Hicks was attempting to hitchhike to a local concert, but was persuaded by Dahmer to accompany him back to his parents’ house in Bath Township to drink alcohol and listen to music. Dahmer’s parents had recently divorced and moved out of the home, leaving Dahmer there alone. After several hours of drinking and listening to music in the house, Hicks said he needed to leave, at which point Dahmer killed him. Dahmer would later dismember Hicks’ body in the house’s crawl space before scattering the remains around the property. 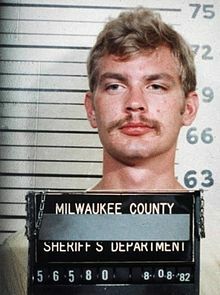 Almost 13 years later, police arrested Jeffrey Dahmer on suspicion of murdering over a dozen young men in the Milwaukee, Wisconsin area. While in custody, Dahmer admitted to murdering Hicks and told police where to find the body. 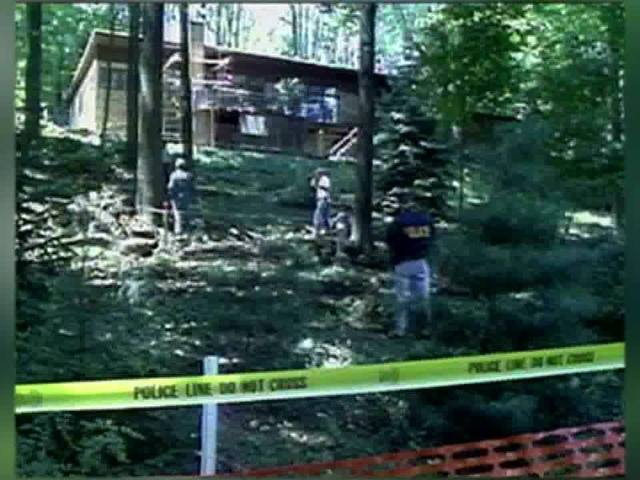 So for one week during the summer of 1991, local police and crime scene experts wandered through the woods behind the former Dahmer family home, eventually recovering the remains of Stephen Hicks. Since then, the house has had several different owners. 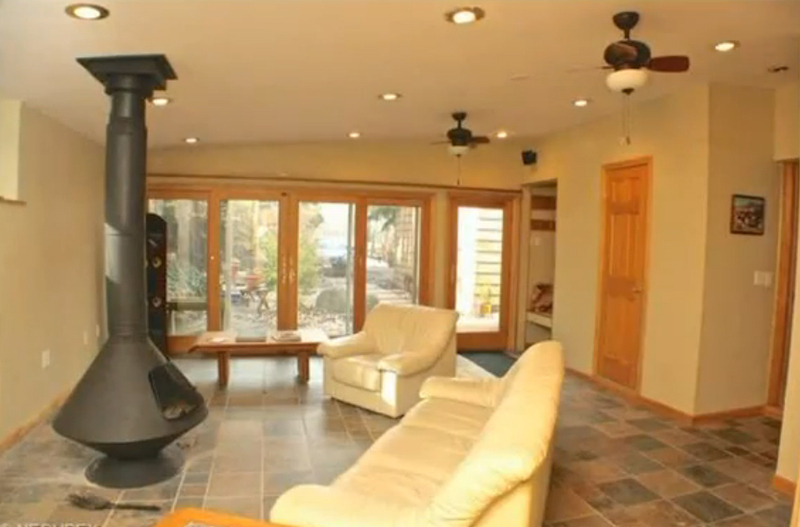 The current one, who has lived in the home since 2005, put it on the market back in 2012, but it didn’t sell. The recent resurgence in the real estate market prompted the owner to put it back up for sale in the hopes of finding a suitable buyer. Of course, they’re having to weed out the curiosity seekers who really don’t want to buy the house, merely get a peek inside. For that reason, only pre-qualified potential buyers are being allowed access. “The house is not a museum. 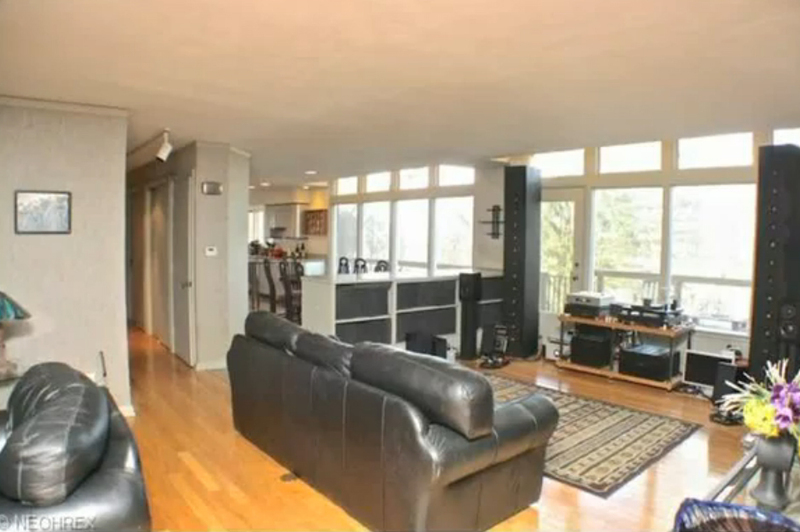 We are not giving public tours”, said Richard Lubinski, the real estate agent handling the home. Truth is, the house is really nice: over 2,100 square feet sitting on 2 acres of land that includes woods, gardens, and even a pond. It’s just a matter of people getting over the whole Jeffrey Dahmer connection. And as if this poor house didn’t have enough problems, recent articles are throwing around allegations that the house “might” be haunted. 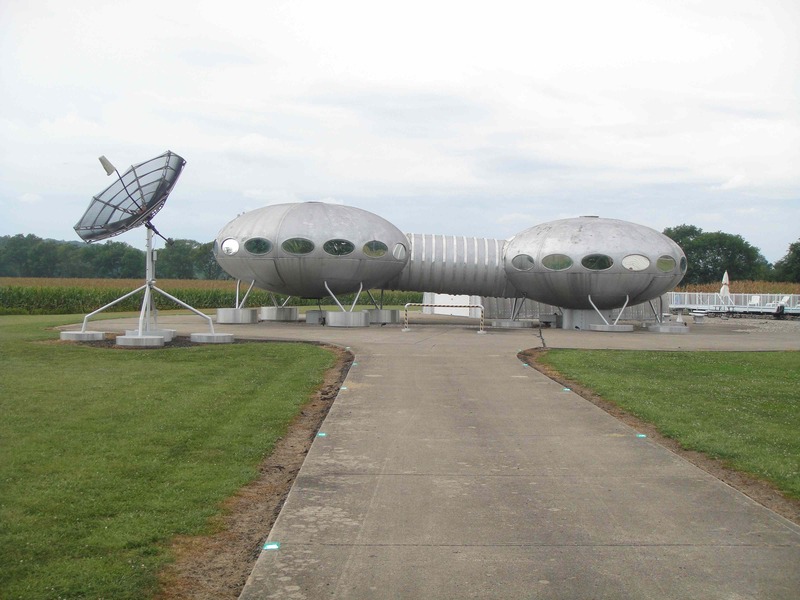 Personally, I’ve known about this house since I moved to Ohio in 1999 and even visited it for a potential story for Weird Ohio back in 2004 (the story eventually mutated and ended up in the book in a different form). Truth is, I have never heard of a single instance where someone said the house was supposed to be haunted. Not one. Even the Internet, where people throw around ghost stories like they are going out of style, was incredibly quiet when it came to this house being haunted. That is, until now. So forgive me if I look at these ghost stories as being nothing more than people trying to add another layer to the tale. As far as I’m concerned, this is a really nice house where, unfortunately, something unspeakable happened. That being said, no, I couldn’t live there. But not because I’d be uncomfortable living with the memories of what happened in the house. Rather, it’s because I recently re-watched Sinister and have come to the conclusion that strange and spooky writers like myself need to stay as far away from murder houses as possible! Here’s a link to an AOL article about the house recently going back on the market. And here’s a link from WCPO-9 in Cincinnati, again about the house being for sale. Finally, here’s an interesting link from when the house first went up for sale in 2012, complete with interior photos. Since that is more titles than usual for the Book Festival, supplies are probably going to be limited. So you might want to get there early. As for me, I’ll be there signing all day until either the books are all gone or else my left arm falls off…which would make for a pretty cool photo-op. For more information about the Ohioana Book Festival, click here. More information about my books can be found here. 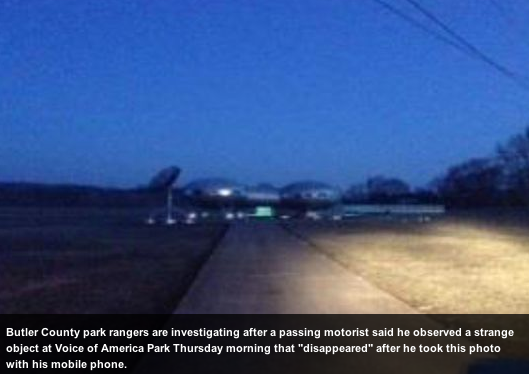 Authorities in Auglaize County are scratching their heads and hoping an autopsy will help explain how the body of a local man came to be found hanging upside down from a bridge near the town of St. Marys, Ohio. 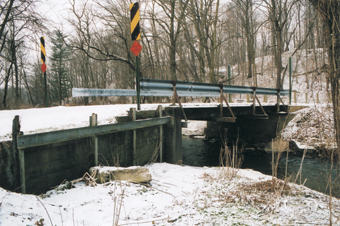 On Sunday afternoon, March 9th, police were summoned to a small creek bridge just outside of St. Marys. There, they found the body of 36-year-old Richard Moon, hanging upside down from the bridge. 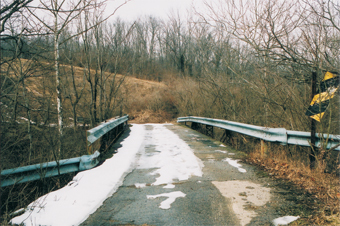 It appeared as though Moon had fallen off the bridge and that one of his legs had gotten caught in the bridge’s guardrail. Police were not commenting on the condition of Moon’s body and would not speculate as to the cause of death, stating only that suicide and foul play were not suspected. They hope that the exact cause of death will be revealed during the autopsy, which is currently being conducted. Authorities did, however, mention a rather bizarre fact concerning Moon’s car, which was found wrecked near the bridge. Sheriff Allen Solomon said that detectives believe Moon was involved in a car crash, which he survived, before he began walking across the bridge. Yet another example of how fate will not be denied. You can read the original newspaper article from the Zanesville Times Recorder by clicking here. Those of you who know me just accept the fact that I have an unhealthy obsession with the urban legend surrounding the “death” of Paul McCartney and the subsequent cover-up by the remaining three Beatles. Truth be told, my interest has less to do with my believing in the legend and more with my fascination over how such a bizarre story could come to be accepted as truth by millions of people. Granted, this happened in the late 60s and there were a lot of controlled substances being ingested back then, but even today, there is a whole subculture devoted to finding clues related to McCartney’s death. The biggest question I’ve always asked is: how did this bizarre tale get started? Most people point to the October 12th, 1969 broadcast of Michigan’s WKNR, when then-student Tom Zarski called in and told the DJ, Russ Gibb, that he “wanted to rap with (him) about Paul McCartney being dead.” Years later, Zarski would state that he had heard the rumors of Paul’s demise and that there were clues hidden in the records and was merely calling the radio station to see if the stories were true. In other words, the legend pre-dates October 12th, 1969. 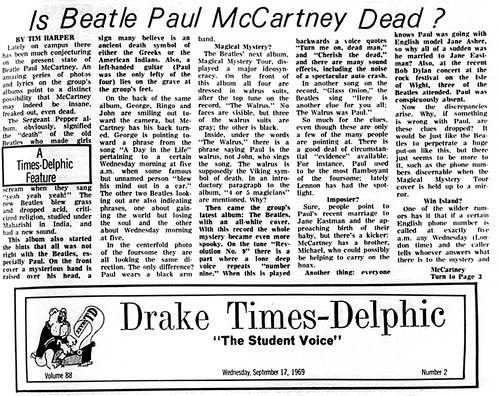 The earliest mention of “clues” that I’ve been able to find in print (so far) is the September 17th, 1969 edition of Drake University’s Times-Delphic, which contains an article by Tim Harper entitled “Is Beatle Paul McCartney Dead?” But once again, Harper has stated in interviews that he was merely re-telling what he had heard or been told about the clues. If we take the actual clues out of the legend, one of the earliest possible sources that people might have gleaned information about Paul McCartney being dead from was the single Saint Paul by Terry Knight, which was released in May of 1969. With numerous Beatle references sprinkled throughout the song, Saint Paul is obviously a reference to Paul McCartney. While the popular belief is that the song is about Knight becoming disillusioned after meeting several of the Beatles, including Paul, if one listens to the lyrics with their conspiracy hat on, they could be taken to be describing Paul’s death (click on the image below to listen to Saint Paul and decide for yourself what Mr. Knight is talking about). Of course, none of the lyrics of Saint Paul mention the cause of Paul’s alleged death: a car crash. 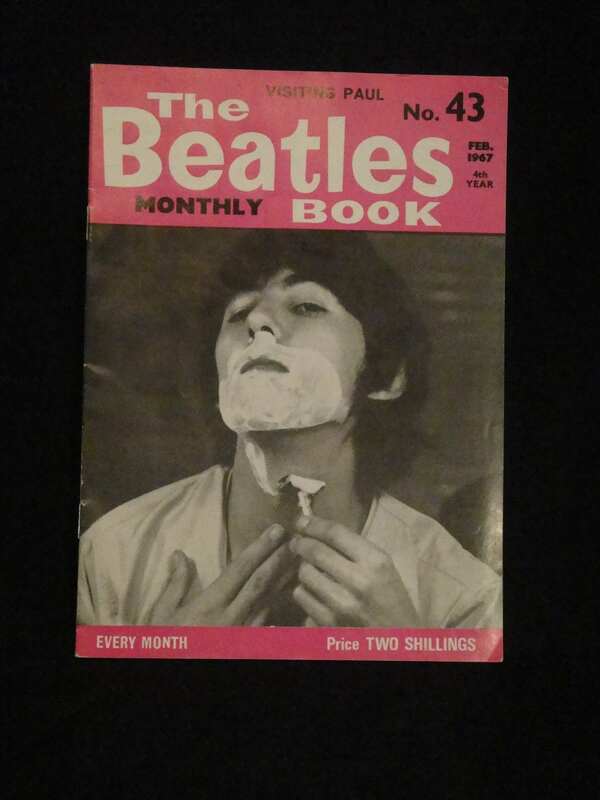 The earliest appearance I’ve been able to find of that is The Beatles Book from February of 1967, almost two years before the Paul Is Dead rumor broke. For me, this would seem to be where the initial idea of Paul McCartney dying in a car crash came from. 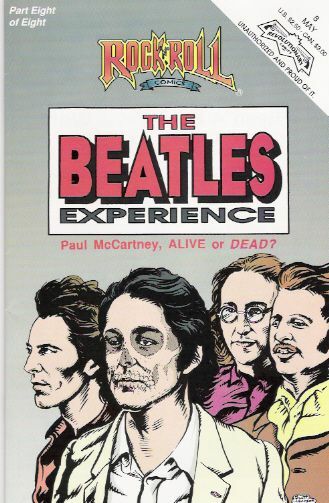 It’s interesting to note that even when the Paul Is Dead rumor finally hit in 1969, the story was that McCartney had died 2 years earlier, in November of 1966. That puts us in roughly the same time frame as the alleged January 1967 car crash. 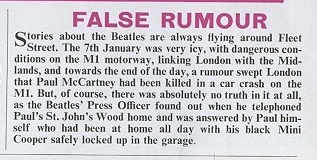 So when you lay everything out in a nice little timeline, it appears as though the False Rumour article points to the original rumor that Paul had died in a car crash on January 7th, 1967. That story percolates for a while until Saint Paul is released, at which point people start thinking there might be clues hidden in that song’s lyrics. From there, it was only a matter of time before people were listening for clues in Beatles records…and playing them backwards. Of course, I might uncover another tidbit of information that sends my whole theory crashing down, but for now, that’s what I’ve come up with! Interestingly enough, while researching the January 7th, 1967 car crash mentioned in The Beatles Book, I uncovered a whole slew of urban legends attached to it; did the crash really happen? Was it Paul’s car? Was Paul even in the car? But those are different legends for a different day!